Namz plug-n-play Illuminator for the Indian motorcycles (except Scout model). 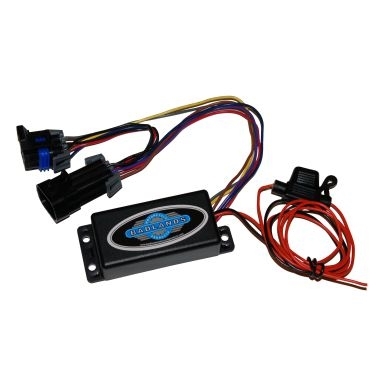 When this module is installed it enables the LED turn signals to work as a running light, brake light as well as turn signals. Using this module with our Indian LED turn signal upgrades makes you that much more visible on the roads. Due to the design feature of Indian electrics, had to get a little assistance from the manufacturer of the Badlands module. Easy to overcome that issue with a short conversation.